I am constantly intrigued by the huge variations in the plumage of Australian Magpies. 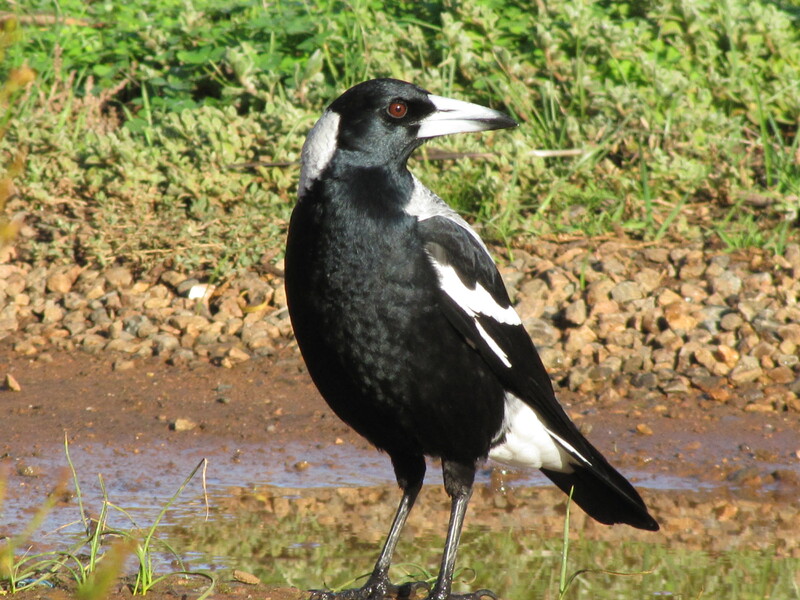 As we travel from home in Murray Bridge, South Australia, I am always on the alert for all birds seen, and especially for the common magpie. 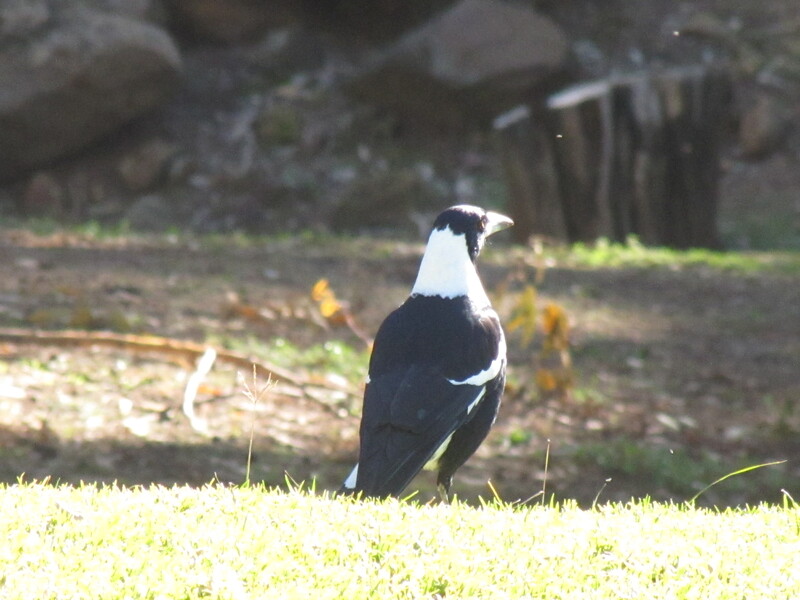 Here at home we have the White-backed race. 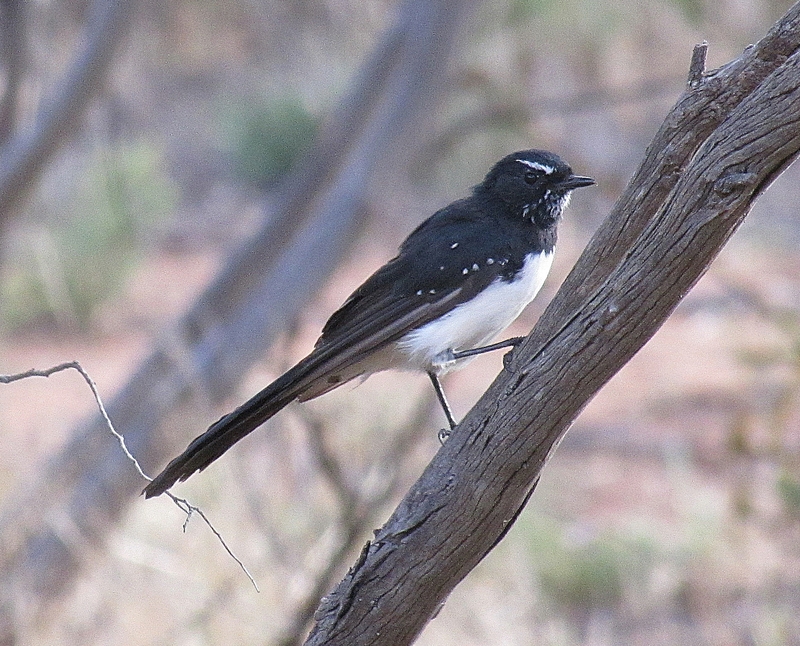 As we travel eastwards towards Sydney – to visit family there – we encounter both White-backed and Black-backed as well as many hybrid variations. 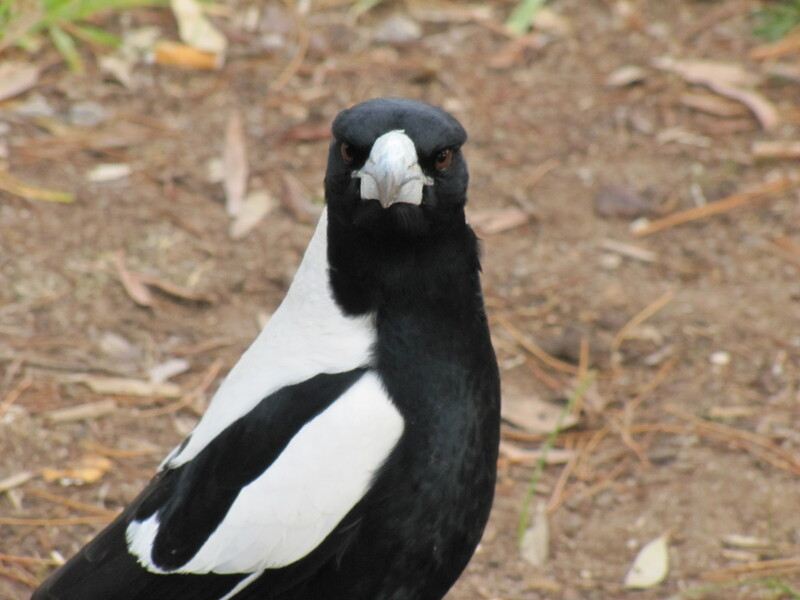 A few years ago we travelled from Sydney south along the coast, ending up at the home of friends north of Melbourne. Once again I observed many variations in plumage colours. The photo above was taken as we drove through the Western Plains Zoo in Dubbo, New South Wales on a visit to the zoo last year. 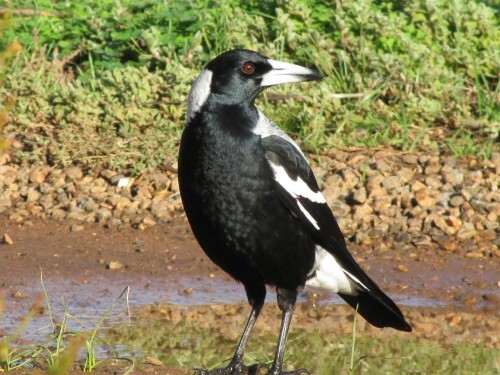 All of the magpies I observed in that region were of the Black-backed race, as are those I have seen in the Sydney area. 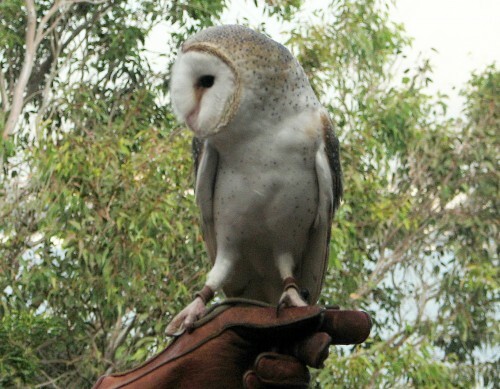 If you have a field guide to Australian birds it may include a map showing the locations of various forms of this species (or at least a description of where they are found). 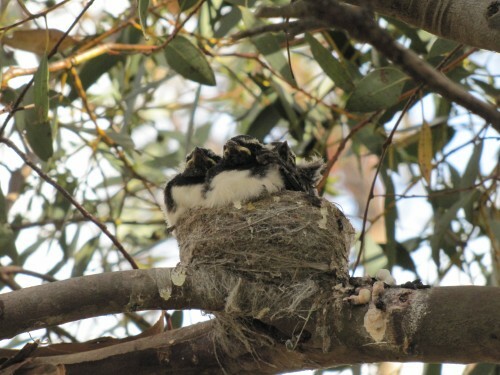 This should alert people interested in birds – even if it is just a passing interest – to closely observe even the common species. You never know what will come into your field of view. 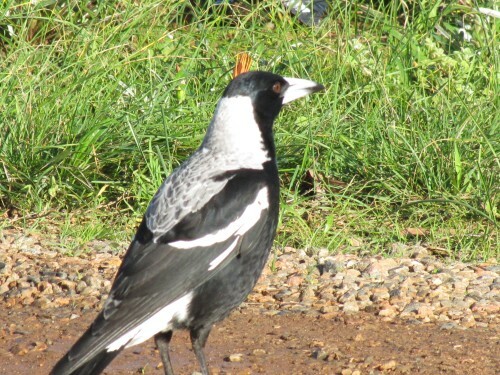 You are currently browsing the archives for the Magpies and Currawongs category.